The M range always makes a confident impression. With aggressive looks combined with elegant style and lines all backed up with what’s under the engine. The performance matches the looks, with plenty to make even the sternest of driver’s smile. Journeys become an experience, trips suddenly become welcomed. 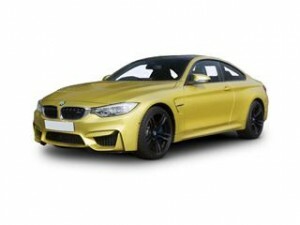 The choice of M class BMW’s is extensive so be sure to compare all models before deciding. The 2 door coupe offers sleek design and styling with road hugging performance or the spacious X6 M which comes in top of its range boasting exceptional flexibility and takes driving pleasure to the extreme, think executive level luxury with coupe fun, tick all the boxes at once. The subtle M badge on all models is the sign this is no ordinary BMW. M models tend to be more aggressive, be lower and have extras such as side skirts, wider air intakes and more. We are here to help you afford your new BMW M range car. Just configure your required car online with us and choose the spec and more then click quote. The savings you would make on a normal BMW may get you into a new M model. See how much we can save you today.